Have you been nice this year? 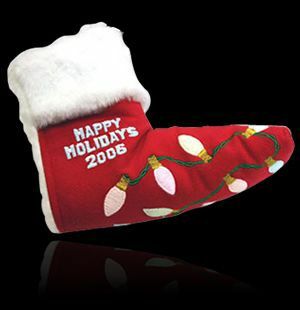 Then, the 2006 Holiday headcover is a must on your list. If Santa gets lost coming down the chimney, this luminescent headcover will guide him to the cookies long after he leaves the glow of Rudolphs red nose. With fluffy white stocking fur, brushed red suede, festive, glow-in-the-dark holiday lights, and snow-covered lettering, this headcover is an instant classic and sure to delight.